a gorgeous voice and haunting soulful music! Thank you. Wow!! Eva is the real thing. She was fabulous. Beautiful voice. New type of music for me but I enjoyed every minute. It was wonderful! I also really liked Luke Jackson's opening songs. A native of Santa Cruz, California, Eva Salina Primack has been immersed in Balkan music and culture since she was a young child. She has studied with some of the greatest living singers of Balkan traditional music. Eva’s rich, versatile, agile, deep and powerful voice and her enthusiastic, skillful, inspired and inspiring teaching have led her to quickly become a reknowned singer, interpreter, and teacher of Traditional Balkan Vocal music. Singing primarily through the traditions of Albania, Bulgaria, Greece, Macedonia, Serbia, Turkey and the Romani people, Eva has also studied Georgian, Corsican, Traditional American, and Ukrainian singing. Eva has collaborated to varying degrees (performing, touring, recording, and teaching) with many Balkan and American musicians, including Slavic Soul Party!, Which Way East, Kadife, Veveritse, Choban Elektrik, Seido Salifoski’s Romski Boji, Édessa, Tzvetanka Varimezova, Italian Balkan/Jazz Project Opa Cupa and KITKA. Eva received a B.A. in Ethnomusicology from UCLA, where she studied extensively with Tzvetanka Varimezova. 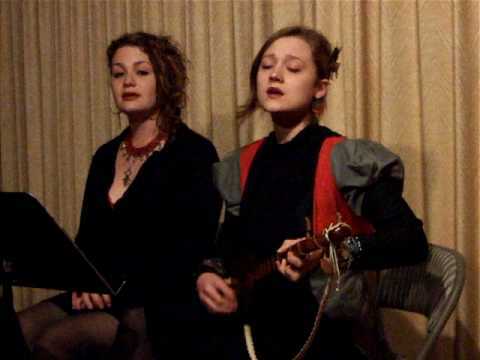 From 2009-2011 Eva toured primarily with Ash (Æ), a vocal duo focused on the traditions of the Balkans, Appalachia, Caucasus Georgia, and Corsica. For the last 8 years, Eva has worked closely with the Museum of Jurassic Technology, including live performances at the museum in Los Angeles, two film soundtracks, and live film score performances. 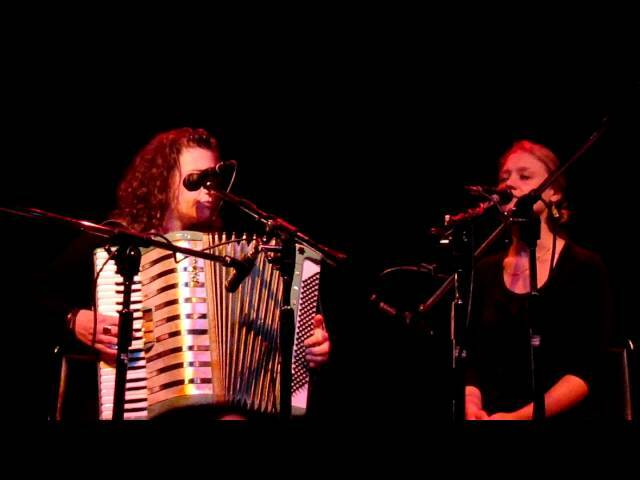 Recent collaborations include a tour in Belgium and France (March 2013) with Miléna Kartowski, and concerts and live film score with Bosnian concert accordionist Merima Ključo. Eva travels frequently, to perform but also as a vocal instructor, as she has quickly become one of the leading teachers of Balkan Singing in the US. Eva lives in Brooklyn, NY, and is currently performing solo, as well as with her band, a world-class group featuring, amongst others, Frank London, Patrick Farrell, John Carlson, Peter Stan, Ron Caswell, and Brandon Seabrook. This band is currently in the process of recording a full-length album to be released in 2014.